Every Monday 9.30-10.30. Starting Monday 19th June 2017. This group is for anyone who is interested in mindfulness and meditation or wants to deepen their practice. You will be guided through a variety of mindfulness techniques and guided imagery designed to relax you and promote personal growth in a safe shared space. To book your place email Rachael at kellettr@gmail.com. 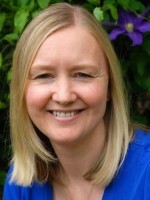 Rachael Kellett is an experienced Gestalt practitioner (MSc Gestalt psychotherapy) with over 15 years of experience working with individuals and groups. She is passionate about personal and spiritual growth both her own and in supporting others. She also runs regular retreats and workshops on personal growth.